This is an updated schedule that spreads the books out more evenly across the year. If you're looking for the original schedule, it's here and will stay up until July 2018. The original chart/grid schedules are linked from that schedule. 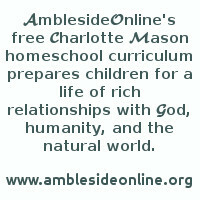 As a help for scheduling Year 10 Basic Version of AmblesideOnline's curriculum, we are pleased to offer printable charts, the weekly assignments in list form below, or families may choose to use a modification of either for their own personal use. However, please see Our Fair Use Policy before sharing any part of the curriculum. The Law, Bastiat, A Fatal Tendency of Mankind, Property and Plunder, Victims of Lawful Plunder, The Result of Legal Plunder, The Fate of Non-Conformists, Who Shall Judge? Invitation to the Classics: The Classics Are Not the "Canon"
How to Read a Book ch 13 What Does Agreement Entail? Attributes of God 21 The Gifts of God; 22 The Guidance of God to "that we are prepared to follow Christ." Attributes of God 22 The Guidance of God from "And what is signified by 'follow' Christ?" to "his lusts--so great is his darkness." Frederick Douglass Narrative Appendix, "A Parody"
Invitation to the Classics: Frederick Douglass - Narrative of the Life of. . .
Six Easy Pieces pg 64-69 How Did it Get This Way?